Hiya guys! How's it going today? I think my allergies are finally getting themselves adjusted, so I'm extremely happy about that. It's been really rough dealing with acetone and polish smells, while my allergies are crazy and my nose is fractured. 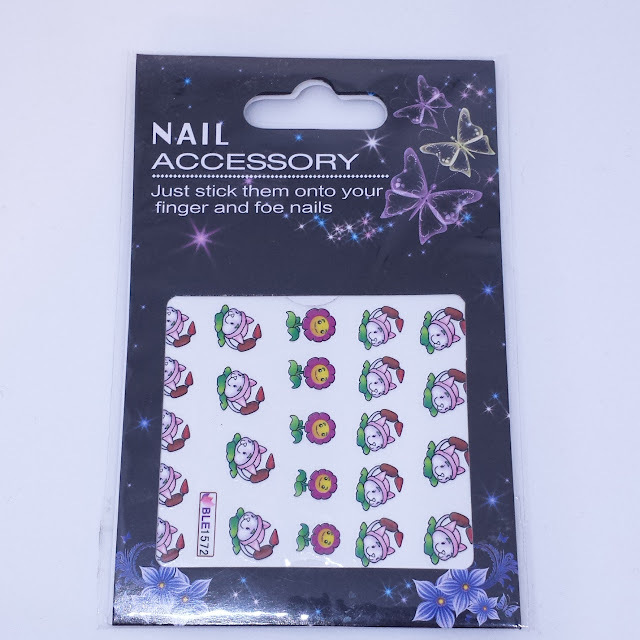 Nevertheless I wanted to have a rather quick overview on a set of water decals from the fabulous Born Pretty Store. The background looks a little crazy so I made sure to record a tutorial for it, which you can find on my Instagram @roselynn787. This didn't come out exactly how I envisioned it, but I am still satisfied with the overall look. The decals are adorable as are most of the ones I receive from Born Pretty Store. 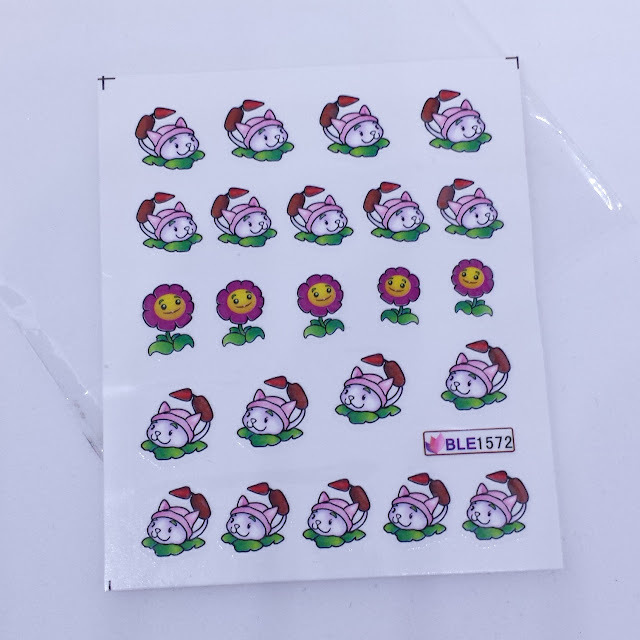 I have done various reviews on the decals available at the online store, which you can find by simply using the search box with the keyword 'Born Pretty Store'. These water decals were previously listed on the Born Pretty Store as item #10265. But unfortunately, it does look like these are currently unavailable. It's such a shame because these Plants vs Zombies inspired decals are extremely adorable. Perhaps they will be available again in the future. These kind of decals are the ones I am the most familiar with throughout my time reviewing for Born Pretty Store. You simply cut out the pattern, dunk it in water for 20 seconds, and slide the decal onto your nail. It's super easy to adjust them exactly how you want, because they don't have a sticky back after the water. Make sure you allow enough time for the base polish to dry before applying so that you don't risk smudging. Just be sure to use a topcoat over them in order to secure them in place. I really like small decals like these ones, too! The full nail sized ones give me troubles. Love your background to use them on! I like this look! I want to see how you did that background especially! 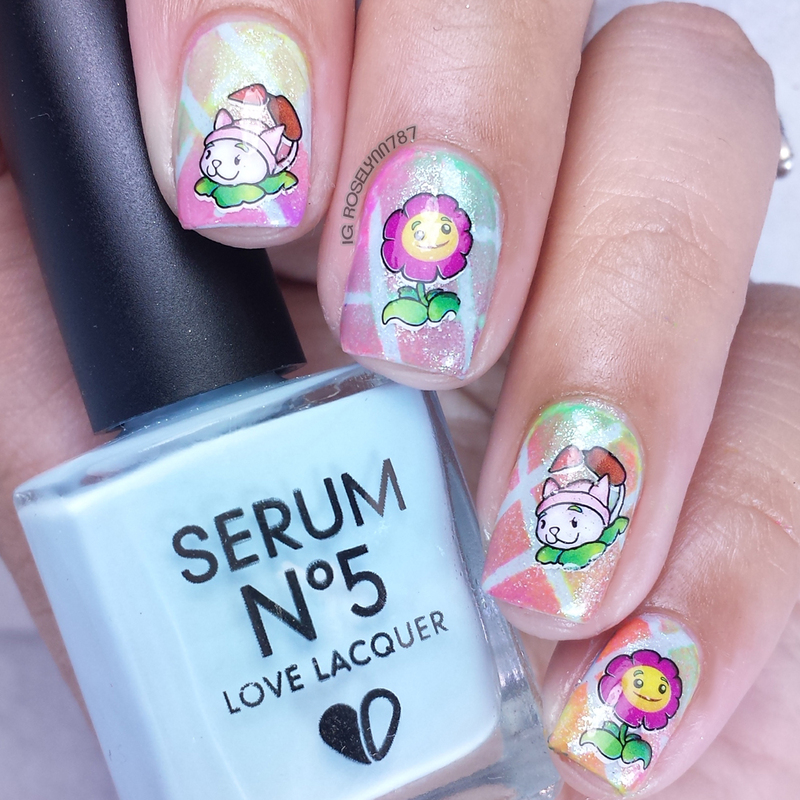 I love nail decals! I'm so bad at putting them on though! haha! Aww those decals are adorable, it's too bad they aren't on the side anymore. I also really like the background. Ummm, how freakin' adorable are these decals?! Bummer about them not being available anymore though. These are super cute, and I love your background as well! What adorable nails, my daughter would love this. I need to get a manicure for a new spring look. I love the decals! Very cute! Love your choice of background with these. These are so cute!! The decals are absolutely adorable! Those are freaking adorable!!! 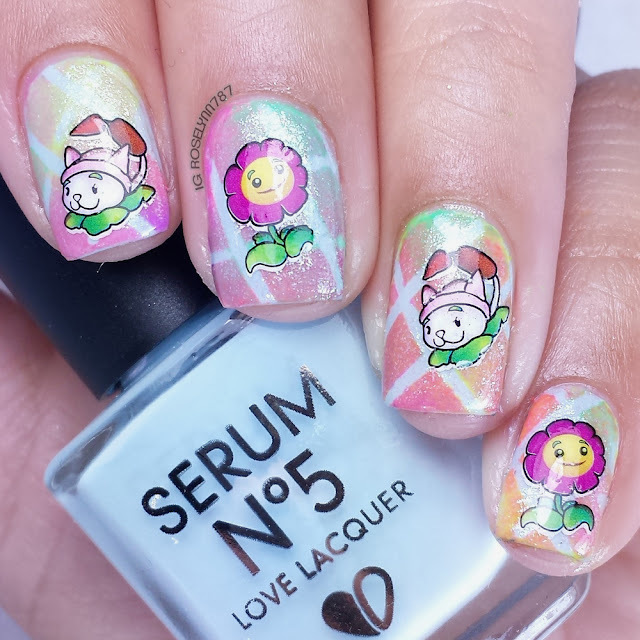 Super cute mani!